· Operated by the Missouri Veterans Commission as a state-owned facility. · One of seven state Veterans Homes and the only one in a major metropolitan area. · Is the largest facility in the state with 300 beds, and has a Specialize/Alzheimer’s Unit. · Received a perfect score on the V.A. Annual Survey of the St. Louis Home. · Has Veterans from WW II, Korea, Vietnam, Desert Storm, and peacetime. · Is open to any honorably discharged Veteran who has lived in Missouri for at least 180 days at any time in his or her life, and requires skilled care nursing services. · Cost is a sliding scale based on the Veteran’s income and assets. · No Veterans is denied admission due to inability to pay. Lightest level of nursing care. Needing only minimal medical and social supervision and assistance. Intermediate level of nursing care. Needs supervision and routine assistance in several activities of daily living. Heavy nursing care. Needs routine and continuous supervision and/or assistance in most activities of daily living. We have a therapy pool on site. Our outside grounds are beautiful and spacious. · Receives support from the community in the form of volunteers and donations. All donations are processed through the STL Veterans Home Assistance League, which is registered with the Secretary of State for the State of Missouri as a General Not For profit Corporation and holds a 501(c)(3) tax exempt letter from the Internal Revenue Service, and serves as the Assistance League to the facility. · Has a Resident Council to provide sufficient and timely input from residents. · Has a Family Council to provide sufficient and timely input from the family members. · Has a Veterans Service Officer on-site to provide information on benefits available to Veterans and their families. · Has an on-site physician. 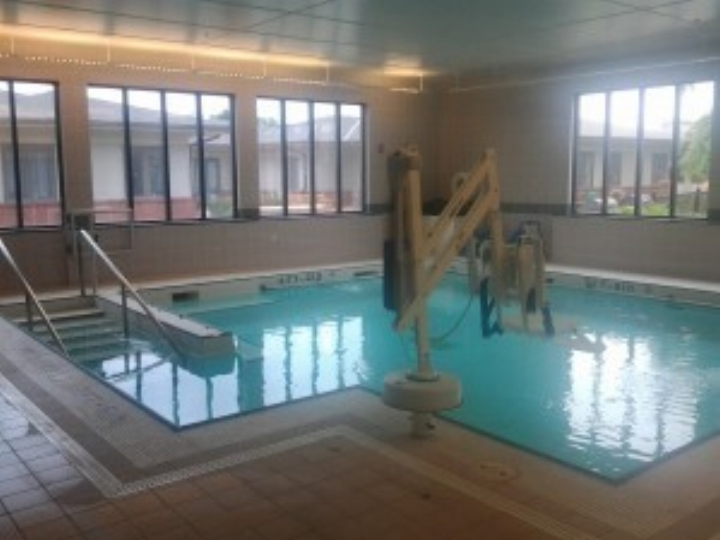 · Provides recreation activities for residents seven days a week. · Fully staffed therapy department providing physical, occupational, and speech therapy.